Pick up from your destination at Delhi and straight drive to Haridwar, Enroute halt for Lunch, arrive Haridwar after sightseeing of Haridwar, drive to Rishikesh, arrive Rishikesh check in at Hotel. Overnight stay at Rishikesh. Hardwar or haridwar are two names for the same piece. 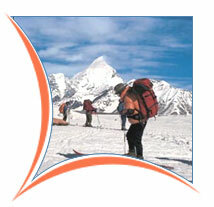 The whole of uttrakhand is dotted with temples of vishnu & shiva. Vishnu is known as hari and shiva as har dwar means gate, and it is for this reason that this place is known as haridwar or hardwar, as it is the gateway to shri badrinath and shri kedarnath, the holy shrines of hari and har. The hindu pantheon allows freedom of worship of gods in any form. Uttarakhand abounds in shrines of gods & goddesses and haridwar from time immemorial has been the gateway to these shrines. Today we will get training for PRANAVAM (advance breathing), Dynamic yoga. advance yoga postures. After breakfast drive to Joshimath. Enroute halt for lunch, arrive Joshimath check into the hotel. Evening free for yoga classes. Night stay at Joshimath. Drive to Lata (Road head) 25 kms. Then trek to Belta 5 kms. Overnight in tents. Trek to Lata Kharak 7 kms. Overnight in tents. Trek to Dibrugheta Via Dharansi pass 17 kms trek, Overnight in tents. Day for exploreation. Overnight tents. Return trek to Dharansi Pass 10 kms trek. Return trek to Latakharak 7 kms. Overnight tent. Return trek to Lata Road head via Lata village, then drive to Joshimath. DAY 10 - JOSHIMATH TO RISHIKESH. 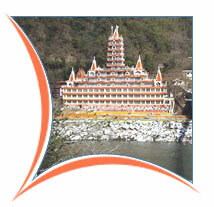 Morning Yoga classes, then drive to Rishikesh, enroute halt for lunch, arrive Rishikesh check into the hotel. Evening free for Yoga classes. Night stay at Rishikesh. Morning free for Yoga classes, then drive for Delhi, arrive Delhi............Tour end with happy memory.